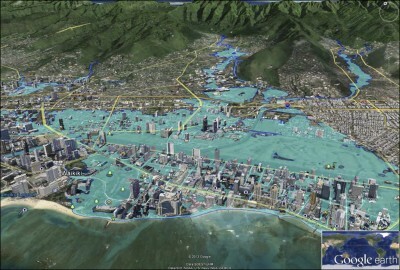 As the effects of climate change become more real, Hawaii lawmakers are considering steps to persuade businesses and individuals to cut back on their greenhouse gas emissions. A carbon tax is the essential policy to financially incentivize a carbon dioxide reduction that’s big enough and quick enough to matter, according to a growing number of state, federal and international agencies. The Hawaii Climate Change Mitigation and Adaptation Commission, International Monetary Fund and Intergovernmental Panel on Climate Change have all recommended charging a fee on carbon to prompt mitigation. Last month, 45 leading economists, including two dozen Nobel laureates and past chairs of the Federal Reserve, voiced their support. But there’s no prescription for how to tax carbon emissions fairly and effectively. 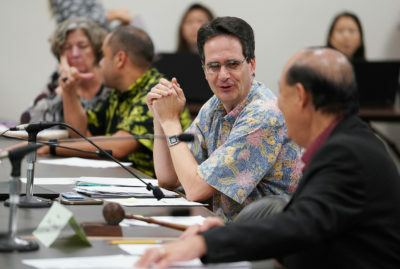 Several states and Congress have considered various concepts and there are some cap-and-trade programs in effect, but Hawaii could be the first state to implement a carbon tax. 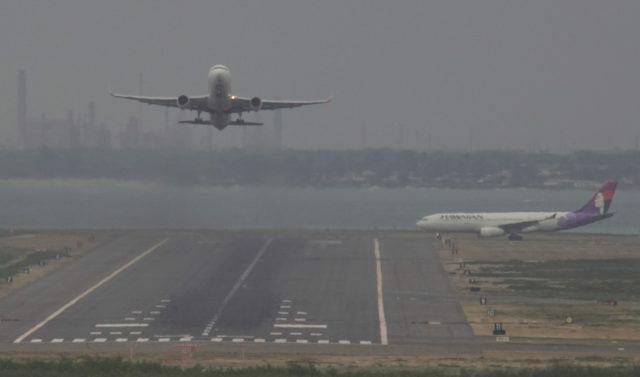 It could cost more to fly and drive if Hawaii taxes carbon emissions. The transportation sector produces more carbon dioxide than any other. The Legislature is considering four measures — the first hearing is Wednesday — to impose a carbon tax. They vary in their aggressiveness and regressiveness, with one simply calling for a comprehensive study. A study stands the best chance of passing this year. It would surprise even the bills’ authors if the others pass this time around, but they get the conversation going and provide a chance to hear what the public wants. 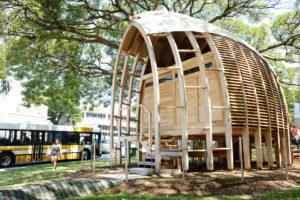 In Hawaii, each person on average is responsible for the emission of 16 to 17 metric tons of carbon annually, according to Makenna Coffman, who chairs Honolulu’s Climate Change Commission and directs the University of Hawaii Institute for Sustainability and Resilience. That’s three times more than the global average and far above the 2 metric tons per capita that experts say is needed to meet the Paris agreement to reduce emissions. 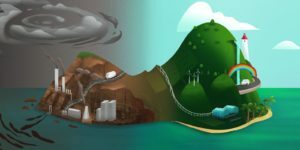 The bulk of Hawaii’s emissions come from the electricity and transportation sectors — driving, flying and shipping in goods and tourists from thousands of miles away. As the state moves toward its goal of 100 percent renewable energy and carbon neutrality by 2045, it still burns oil and coal for almost three-fourths of the islands’ power needs and there are loopholes to let it wiggle out of those mandates. So what is a carbon tax? Why do so many experts in climate science and economics support it? And what’s the political holdup? 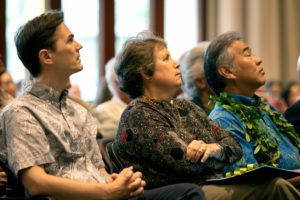 “For lots of folks, what matters — even more than climate — is who pays the money and who gets the money,” he said at the inaugural Hawaii Climate Conference last month in Honolulu. Bauman has been working on the issue for 20 years. 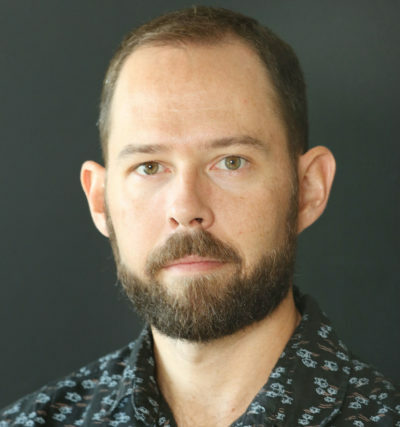 The former Seattle resident founded Carbon Washington, which in 2016 put the first carbon tax measure on the ballot in the U.S. It was a revenue-neutral proposal that would have instituted a tax of $25 per ton of carbon dioxide emissions while cutting the state sales tax and increasing the earned income tax credit. Under this type of proposal, the government collects roughly the same amount of overall revenue from its citizens, who see relief in taxes in some areas, like grocery bills, as they pay more for other services, like electricity and gas. This in theory drives changes in habits that reduce emissions. The initiative failed when environmental groups like the Sierra Club opposed it and fossil fuel companies remained mostly neutral, Bauman said. Washington voters considered an alternative version last year that was expected to raise $1 billion annually by 2023. Instead of offsetting the revenues raised by a carbon tax — in this case it began at $15 per ton of CO2 — all the revenue would have gone to fund clean energy programs, environmental justice causes and green innovation. 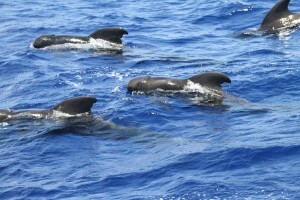 It had the support of The Nature Conservancy and climate-minded billionaires such as Bill Gates and Michael Bloomberg. It also was backed by Gov. Jay Inslee, who had opposed the 2016 initiative. The Washington Democrat co-chaired the bipartisan U.S. Climate Alliance, a coalition of 17 governors that includes Hawaii Gov. 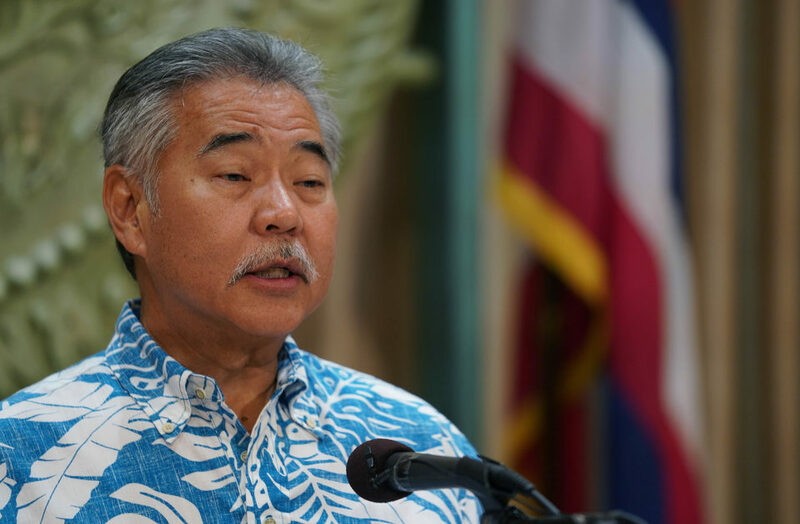 David Ige. Voters still shot it down, with 57 percent opposition. Reuters reported that the U.S. oil industry spent a record $30 million to fight the initiative. Bauman has since taken his cause to his new home in Utah, where wildfires have been worsening like in California. The Utah Legislature is weighing a revenue-neutral proposal this year but its prospects of passage look dim. A United Nations report in October estimated governments would need to set carbon taxes at $135 to $5,500 per ton of CO2 by 2030 to prevent the planet from warming more than 1.5 degrees Celsius above pre-industrial levels. That’s the threshold that almost every country in the world agreed to follow under the Paris accord. That’s far more than any proposal on the table in Hawaii. It’s also well above the social cost of carbon — the economic damage from releasing a ton of CO2 into the atmosphere — that the administrations of President Donald Trump and former President Barack Obama have calculated. The Obama administration estimated the the social cost of carbon at about $50 per ton in 2020. Trump’s administration pegged it at far less — about $1 to $7. 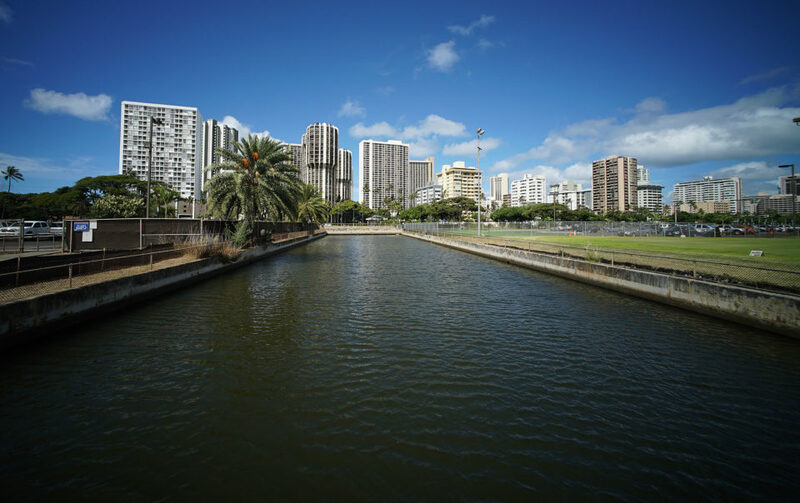 The difference is largely that Obama calculated the effect globally, and Trump focused only on the U.S.
Bauman’s advice to Hawaii residents and policymakers was to be “fairly modest” and try to come up with a plan that other states could emulate. “Start by thinking about what you want to fund,” he said, adding that some ideas can generate such blowback that it can damage the climate movement. “There’s something attractive about putting money back into people’s pockets,” Bauman said. Sen. Karl Rhoads has introduced a revenue-neutral carbon tax bill that lawmakers are set to hear Wednesday. 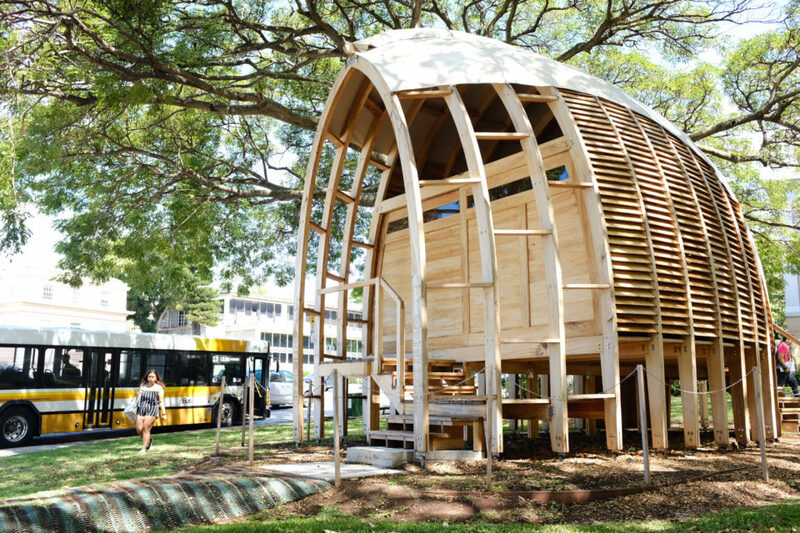 Crunching the numbers, he said a tax of $20 per metric ton of carbon could raise about $368 million a year in Hawaii. Without offsetting it in other ways, that would very roughly translate to paying 20 cents more per gallon of gasoline and about 2 cents more per kilowatt-hour of electricity from a coal-fired power plant. It’d be about $8 extra per passenger on a flight from Los Angeles to Honolulu, he said. 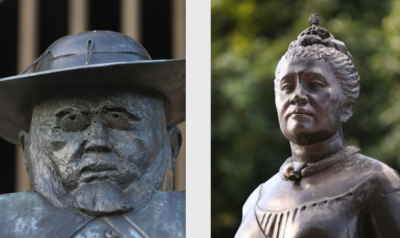 Hawaii lawmakers are considering a range of proposals. Some focus on not disproportionately affecting those least able to afford a carbon tax by offsetting that cost, perhaps by lowering the state gasoline tax or giving taxpayers a cut of the revenue. Others put all the new revenue toward climate change-related programs. The measures are generally more aggressive than what Washington or Utah has put forward. House Bill 1287, introduced by Reps. Amy Perruso and Chris Lee, would impose a carbon tax on every distributor that emits carbon dioxide, whether it’s from petroleum, coal, natural gas or liquefied natural gas. It would start at $20 per ton of carbon Jan. 1 and increase $5 a year to $55 per ton in 2034. The money would be split up, with 25 percent going into the Environmental Response Revolving Fund, 25 percent into the Energy Security Special Fund and 50 percent being refunded to taxpayers as a dividend. Its first stop is the Energy and Environmental Protection Committee, chaired by Rep. Nicole Lowen, but she has not scheduled a hearing. Beretania Street traffic heading westbound near Punchbowl Street. Some carbon tax proposals would increase the cost of driving while others would lower the gasoline tax. Senate Bill 1463, which has a companion measure in the House, would replace the environmental response, energy and food security tax — commonly known as the barrel tax — with a carbon emissions tax of $6.25 per ton of carbon dioxide-equivalent emissions on all fossil fuels sold by a distributor to any retail dealer or end user of the fuel, other than a refiner. It would be paid by the distributor, but as with any tax it would presumably be passed down to consumers. The measures, whose lead sponsors are Sen. Karl Rhoads and Rep. David Tarnas, would lower the state gasoline tax of 16 cents per gallon to 5.5 cents while changing the tax rates for other fossil fuels, including jet fuel, natural gas, coal, propane, solid waste and more than 20 other sources. 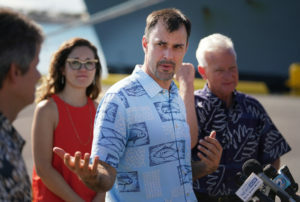 Speaking at a forum last week hosted by the Hawaii Economic Association, Rhoads said the goal was to include all carbon emitters. The challenge was weighing how much to tax each. 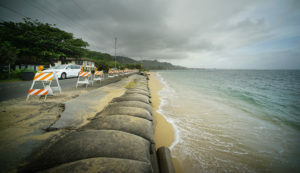 Rhoads noted how parts of the highway on Oahu’s North Shore have eroded as sea levels have risen, to the point where they drop almost straight into the ocean in some areas. And on stretches along the east side, he said waves are splashing vehicles as they drive along the coast. Rhoads said he was especially motivated by the latest National Climate Assessment issued by the federal government in November. It explained how we’ll reach a “tipping point” in a decade or so. “Ten to 12 years, when you’re talking about this, is the blink of an eye,” he said. 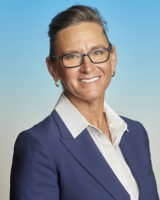 Money raised from the tax under Rhoads’ proposal would go to the environmental response revolving fund, energy security, energy systems development, agricultural development and food security. While it’s revenue-neutral, he said that doesn’t mean there won’t be winners and losers. 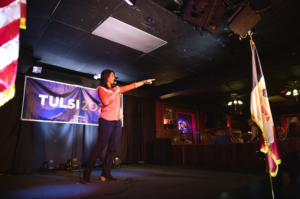 “It’s a huge challenge politically to keep the playing field level,” Rhoads said. His measure will receive its first public hearing Wednesday in a joint meeting of the Agriculture and Environment Committee and the Energy, Economic Development and Tourism Committee, but Rhoads doesn’t expect it to go far this session. His goal is to hear legitimate criticism, tweak it, and bring it back next year. Rep. Tina Wildberger has similar expectations for her proposal, House Bill 1579, which six of her colleagues co-sponsored. It would impose a $15 tax per ton of CO2 emitted from the use of fossil fuel and establish state and county sustainability initiatives to receive the revenue. The tax would be paid by the distributors. “This bill was a conversation starter for me,” said Wildberger, a first-term representative from Maui. Rep. Nicole Lowen says Hawaii needs a comprehensive study of carbon tax policies. 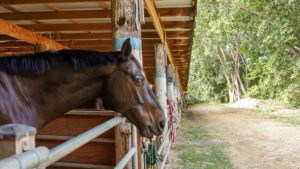 The measure calls for spending the revenue on sustainable farm and soil practices, renewable energy projects, electric vehicle charging stations, energy efficiency projects in state buildings, cleaning up contaminated industrial sites, green technology development, sea level rise and flooding adaptation and recycling facilities. It does not prescribe how much money would go to each. Lawmakers would fill in those blanks if the measure moves forward. 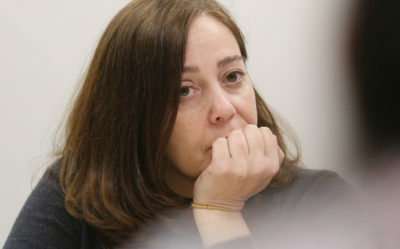 Wildberger sees the bill, which has yet to be scheduled for a hearing, as a short-term strategy to pass a resolution that creates a task force on the issue. 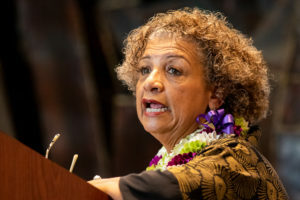 House Bill 1584, introduced by Lowen, calls for spending a yet-to-be-determined amount of money on a comprehensive study of a statewide carbon tax, to be conducted by the Research Corporation of the University of Hawaii. Lowen said the Legislature often does studies instead of taking action, but in this case it’s a necessary first step. The bill cleared its first committee Jan. 31 with overwhelming support from those who testified. It has two more committees to clear — Consumer Protection and Finance — before it would go to a vote of the full House. 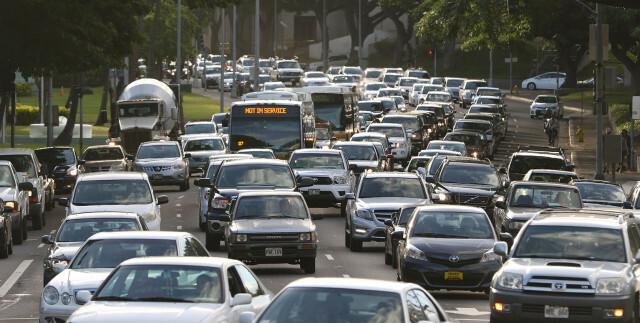 Past studies critical of carbon tax policies have highlighted how Hawaii already has some of the nation’s highest electric rates and gasoline prices. 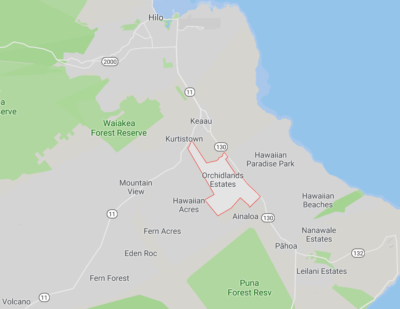 An article last year by The Heartland Institute cited a 2013 study by the National Association of Manufacturers that estimated a $20-per-ton carbon-dioxide tax in Hawaii could result in a 5.3 percent increase in household electricity rates. It also estimated an increase in gasoline prices of 20 cents per gallon. 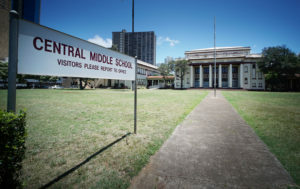 Sherilyn Wee, an economist with the University of Hawaii Public Policy Center who has researched carbon tax policies, said further studies are warranted. In particular, she said there is a lack of research in Hawaii on what consumers want. What is known from national surveys, she said, is that support for a carbon tax falls when the public does not understand how the revenue will be used. 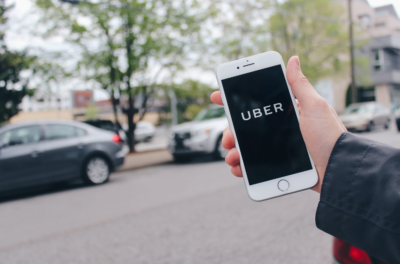 “We need to look at what’s practical in terms of how the revenue will be used,” she said, adding that a broad public outreach campaign would be an important component. 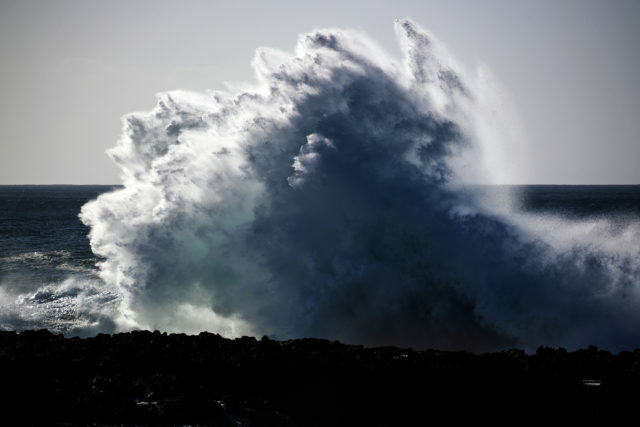 Some feel a carbon tax could help Hawaii respond to changes in the climate, such as stronger surf and other effects that threaten public and private property. Before joining the Public Policy Center last year, Wee was a researcher with the University of Hawaii Economic Research Organization, where she wrote about the fundamental need for a carbon tax. “The damages from greenhouse gas emissions are spillover costs not reflected in current market prices for fossil fuels,” she said in a 2017 post in Economic Currents. Basically, we’re not taxing carbon appropriately, she said. The state barrel tax, which doesn’t apply to aviation fuel or coal, is $1.05 per barrel of petroleum. That helps the state raise revenues, Wee said, but doesn’t discourage fossil fuel use. Wee sees a revenue-neutral carbon tax as less regressive than mandates because revenues can be redistributed to taxpayers by cutting taxes in other areas or through direct checks in the mail. “That equity issue is on everyone’s radar,” Wee said. A November 2017 study of Hawaii’s tax system, conducted by PFM Group Consulting for the state Tax Review Commission, said the revenue gains of such a broad-based tax could be substantial. 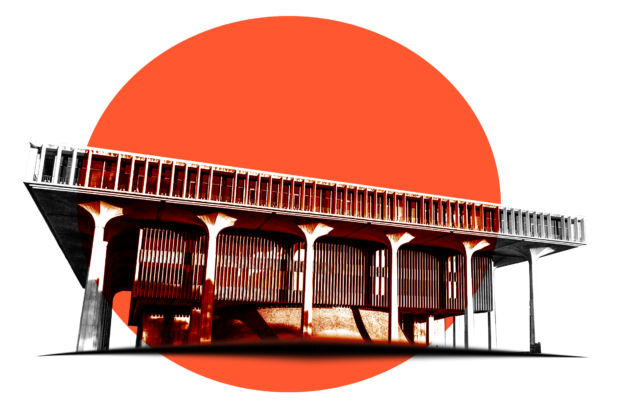 But the study cautioned that it would be regressive in Hawaii given the scale of spending on energy by lower-income households. Highlighting national studies, the report noted how those making $25,000 annually spend 5.3 percent of their income on electricity, natural gas and heating fuels. That drops to only 2.5 percent at an income level of $150,000. Coffman, the Honolulu climate commission chair, said critics of a carbon tax often point at how Hawaii’s overall emissions are already on the low end when compared to the nation as a whole. She regularly rebuts that argument by pointing at the same data on a per capita basis. 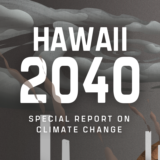 Hawaii was the worst in the nation until just after 2007, when it implemented policies to reduce greenhouse gas emissions to 1990 levels by 2020. 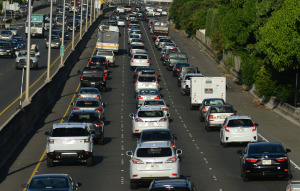 Hawaii’s two greenhouse gas inventories — in 1990 and 2007 — show ground transportation had the biggest increase for overall emissions. The electricity sector also grew during that time but aviation declined, mostly due to efficiency upgrades. The state Department of Health has completed a new inventory, but it is not yet available to the public, Coffman said.